Welcome to another giveaway. 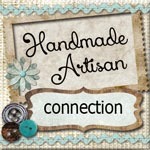 Today we are giving away a six month listing on our new website, Handmade Artisan Connection, to anyone with a handmade shop. 1. Earn one entry just for leaving a comment. Be sure and leave your email address so we can contact you if you win. The giveaway will start today, Saturday, October 26. The last day to enter will be November 15, 2013 and the winner will be announced on November 16, 2013. We will announce it here and contact you by the email address you have left. The Handmade Artisan Connection is your connection to the artisans who make and sell their own products, many of them one-of-a-kind. Support handmade by shopping for unique goods directly from the artisan who creates with love, care and attention to detail. 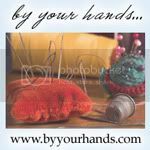 If you sell your own handmade wares, you'll want to be listed on Handmade Artisan Connection! 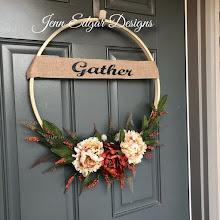 Click Here to get listed on Handmade Artisan Connection Online Catalog today! 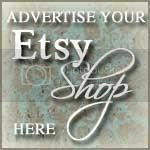 If you're looking for one-of-a kind Handmade products, you'll want to stop by often! Join our mailing list so you can receive updates when we have a new artisan listing or new products have been added to our artisan's shops. We mail our newsletters out twice a month on the 1st and 15th.